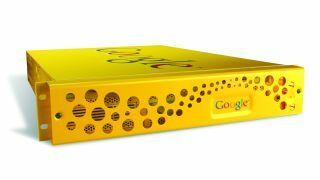 According to published reports, Google is rumored to launch an expansion to its cloud offerings with a business-focused virtual serving client at Google IO 2012. The news comes from "multiple sources who are familiar with Google's plans" who reportedly confirmed that Google's push into the cloud would expand on the existing services offered by the company's App Engine. However, the sources did not say how the new service would differ from the existing one, which allows businesses to host websites and run a limited suite of applications on virtual servers across Google's data centers. A push into business-grade cloud services for Google could change the way that its customers approach web design and hosting, and could boost participation in other Google Apps programs like Gmail, Docs, and Drive. Opening up the infrastructure of the App Engine to open-source API's and other web languages (currently just Python, Java, and Go) would put Google in direct competition with Amazon's successful Elastic Compute Cloud (EC2). It would also preemptively square off the Mountain View-based web behemoth against Microsoft who is rumored to also be working on a more robust cloud computing solution than it's current Windows Azure framework. All three of these services currently perform at least three basic functions for businesses: storage, hosting, and application serving. Amazon EC2 customers simply have more options for compatible applications than in Google's App Engine. Amazon managed to become the top dog in virtualized cloud service by running its 450,000 Linux server data center with as much open-source compatibility as possible. If Google launches a revamped App Engine with a wider base and fuller functionality, it could become the new leader for web-based business software.